I have pain on the bottom of my left foot. My foot hurts first thing in the morning. It’s hard to walk on it. Sometimes it loosens up. I could run some, but not today. It was bad. I went to the Chiropractor Steve Smith. He’s a marathoner and founder of the Pasadena Pacers. 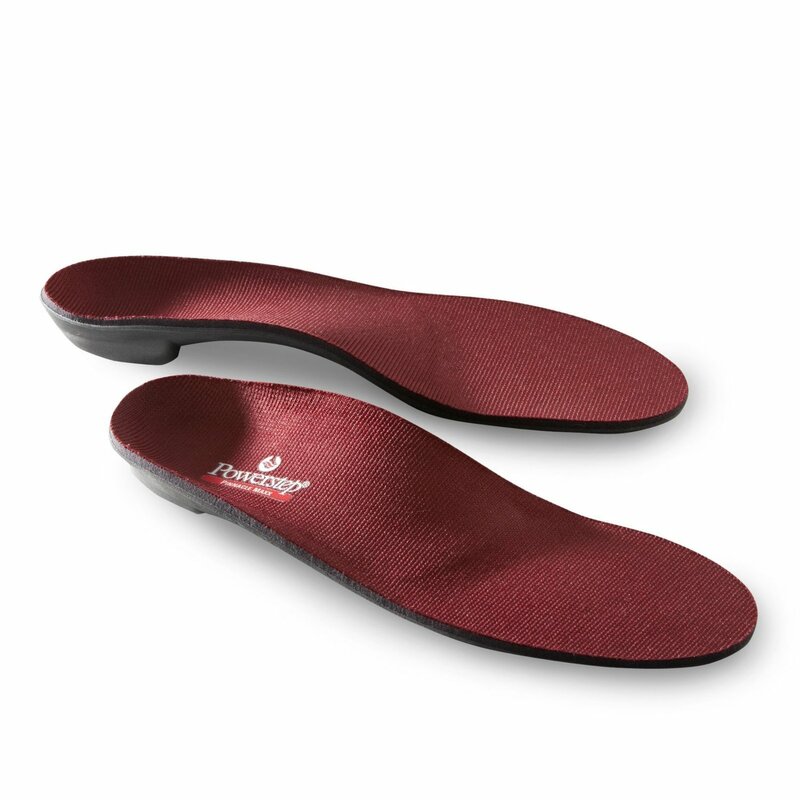 As soon as I pointed to where it hurt, he diagnosed it as Plantar Fasciitis. He used a flat shell and rubbed it along my inside arch and it was gnarly like sliding along a ruffled grate. Then he did the same motion on my other right foot and it was smooth. I thought he was kidding. 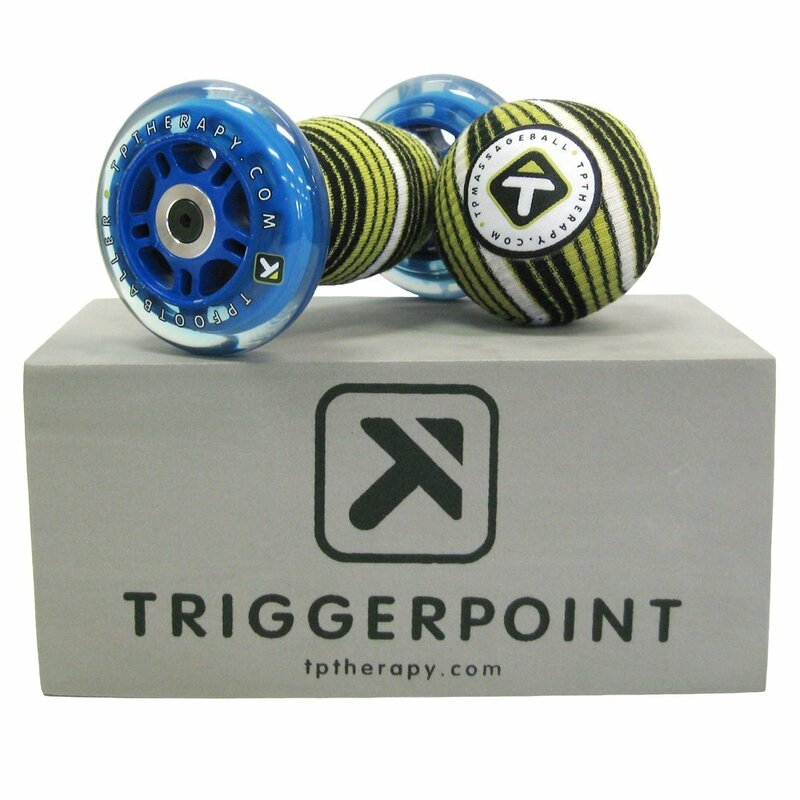 He prescribed therapy shown below. He said it’s a moderate case. Okay to walk, and bike. Okay to run for short distances. No sprints, no hills. He also had the girl do electro-stim on the inside of the my arch. She showed me how to do the stretches and exercises. 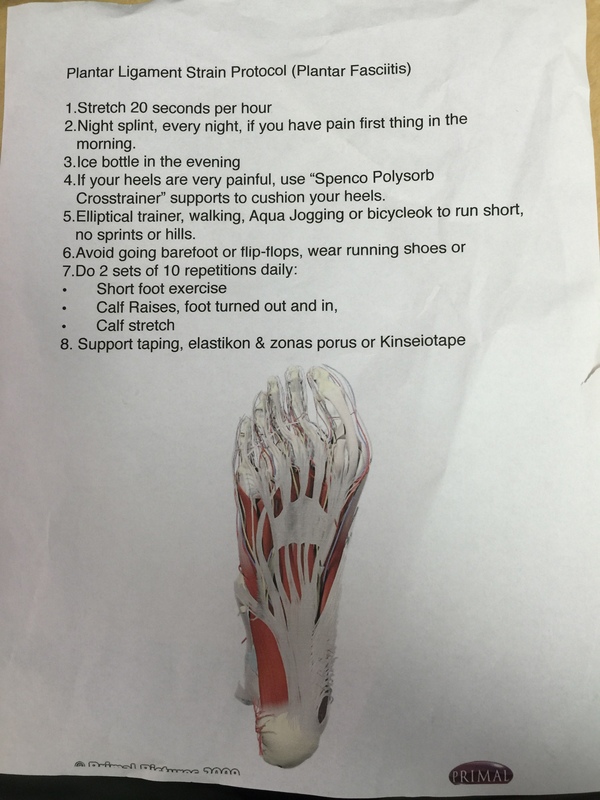 She also taped up my foot (see #8). As I thought about when it really started to hurt. It was in Maui, over vacation a couple months ago in June (it’s August now). I was wearing flip flops a lot and my feet just ached. I started to wear my running shoes for arch support and my wife was like, that’s so tacky. Let’s go buy some nice flip flops with arch support. Doc says no more flip flops and no more bare feet. He said no Asian bare feet. He said it. hahah. 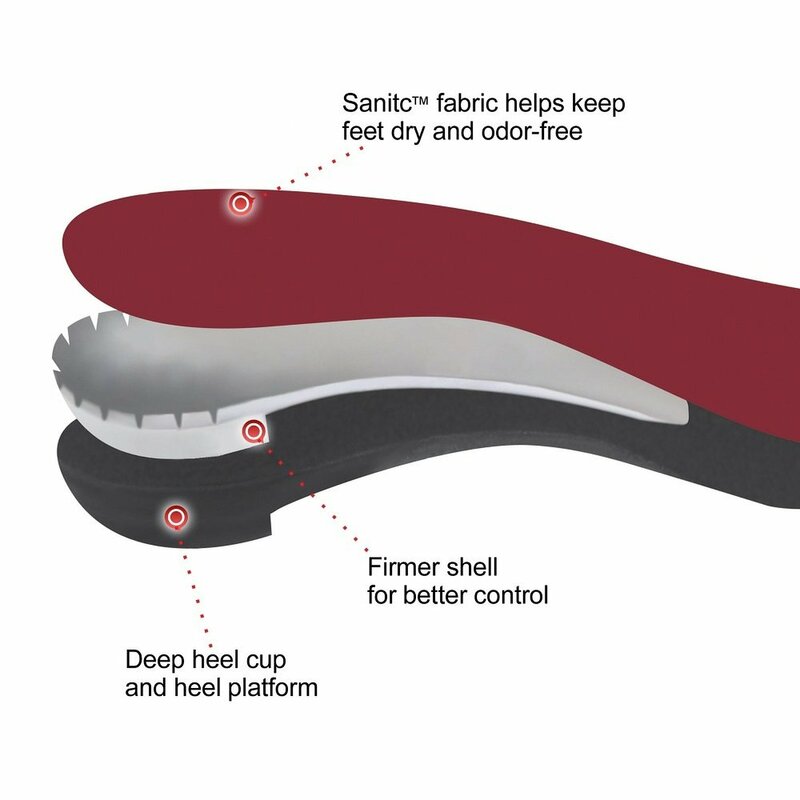 I have flat feet and I put stiff arch insole in all my shoes, running shoes, and dress shoes. Power Step by Pinnacle Maxx. I actually rip out the insole from my Asics running shoes and dress shoes and put these in. I can run for miles in these. They are stiff through the arch and then bend at the ball of your foot, and that’s where they wear out. During work, I roll out my foot on the TP Massage Ball. I used to use the other rollers on my hips and calves. I have frozen water bottle in the fridge at work to roll it out in the afternoon. Coach Barry has modified my training to aqua jog or bike instead of run. * Allow a little space between your big toe and the shoe. as clear as a name.